Is iron ore headed for US$40 per tonne? Pundits are predicting a massive decline and a new low for iron ore.
Vice president for Citigroup’s China commodities research group, Ivan Szpakowski, has pointed to a new recent low for the metal of US$40 per tonne next year, according to the Sydney Morning Herald. it comes as the price of iron ore hits its lowest point since late July, and the benchmark 62% Fe import price at the port of Tianjin fell to the US$52.50, although it is yet to reach the seven year low seen in early July of US$44.59. According to Szpakowski, the slowdown in Chinese demand coupled with oncoming oversupply thanks to record production rates from Vale and BHP is likely to drive down the price below US$50 per tonne by the end of this year, and to US$40 per tonne or lower by the end of the March quarter next year. It comes on the back of the World Steel Association Short Range Outlook (SRO) for 2015 and 2016, which forecast that global steel demand will decrease by -1.7% to 1,513 Mt in 2015 following growth of 0.7% in 2014, and in 2016, it is forecast that world steel demand will show growth of 0.7% and will reach 1,523 Mt. According to Morgan Stanley, they expect commodity prices to rise approximately 19 per cent by 2017, carrying out “a sharp reversal from the experience in the last 18 months”. “Emerging markets and China in particular remain key to commodities demand. In the next few months we expect the perception around this demand to improve. In particular the acceleration of financial and administrative stimulus policies in China in recent weeks should start to feed through in both actual activity levels and equity market expectations,” Morgan Stanley analysts stated. Earlier this month Australia’s chief economist also pegged the bottom of the mining downturn. In its report it outlined positive guidance. 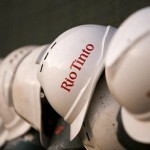 “Over the medium term, the outlook for the Australian resources sector is largely positive,” the report said. “The prices of several commodities, in particular iron ore and coal, are projected to increase moderately towards the end of the outlook period. In addition, production and export volumes are projected to increase as the recent investment in the sector contributes to increased output. However Szpakowski was less positive was less positive on the metal. 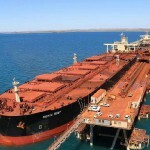 “We've had a massive slowdown in demand growth – both structural and cyclical – in the commodities space, and the question about the transition away from heavy industry remains how much along we actually are,” he told the Sydney Morning Herald. "If you look at steel demand and you look at diesel demand – these are the two largest industrial commodities in China – growth for both of those has been negative this year. "So, clearly, you already seeing a significant shift taking place." Much of this potential future rests of major Chinese steel company Sinotsteel, which may require a government bailout following its default on interest payments, failing to pay around US$315 million on its 5.3 per cent notes maturing in 2017. This latest default may be the beginning of a slide in the Chinese market, taking the high risk steel industry down with it.